Its time to bring Restaurant Week Hawaii 2014 to a close. We end this series with dessert, of course. Above is the Baklava which also came with Moroccan mint tea from Kan Zaman. 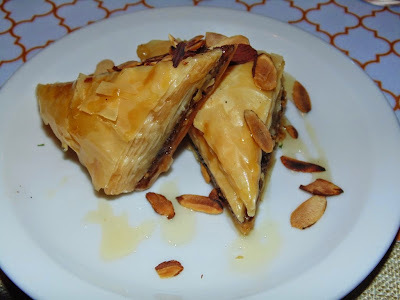 This is a pastry made with filo, chopped nuts and honey. Below is the Japengo’s Tiramisu. This was made with Kona Coffee, Macadamia Nuts, Mascarpone and Wahine (lady) fingers. 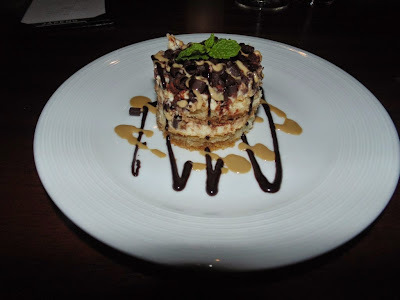 This is one of the best Tiramisu I have tasted and a perfect way to end Restaurant Week. Looking forward to doing it all again next year. We continue Restaurant Week Hawaii 2014 with a visit to Wolfgang’s Steakhouse in Waikiki. 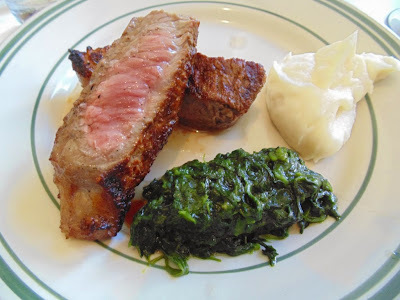 This is the USDA Prime Dry-Aged New York Sirloin Steak with mashed potatoes and creamed spinach. This photo is how the dish was presented by the servers. The steak is actually 12 ounces with the bone and the rest of the dish on the sizzling serving platter. At first I was confused but when I tried to put the rest of the pieces on the plate the photo just didn’t come out as nice so its all about the presentation. The steak was awesome especially when you drizzled some of the juices over the pieces. We continue our Restaurant Week 2014 series at Japengo in Waikiki. Japengo features a delicious mix of Hawaiian produce and exotic ethnic flavors. 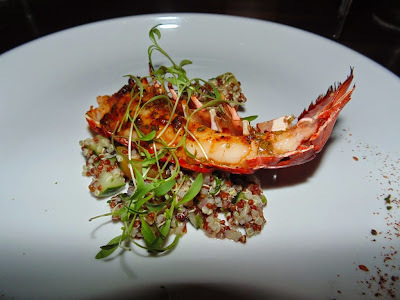 Aboveis the Kona Lobster Chermoula with North African spicies, Tabouleh of Quinoa, fresh Yuzu and Coriander. It was quite an amazing combination. Below is the Breast of Duck Sous Vide in Duck Fat. 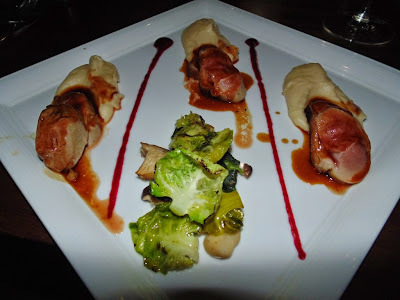 This came with Taro Brandy Puree, Hamakua Mushrooms, Port Wine Gastrique and Charred Brussels. I think of all the restaurants I tried this year I liked Japengo the best.